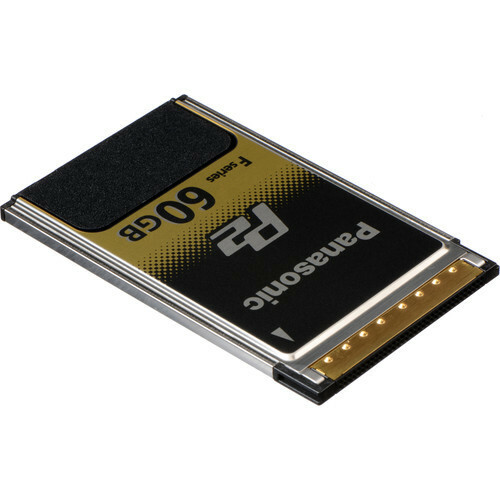 The 60GB F-Series P2 Memory Card from Panasonic features fast 1.2 Gbps data transfer speeds. The P2 card is designed to be used even in harsh conditions, thanks to its wide operating temperature range (-4 to 140 °F) and 1500 G impact resistance. Box Dimensions (LxWxH) 4.6 x 3.4 x 1.5"